The Kent Reliance Business savings account is designed to give your company a safe place to grow funds without needing to leave the office or your home. Our online Business savings account gives you access to your money without notice or penalty, plus you can choose from monthly or annual interest payments. We believe that business internet banking shouldn’t be any more complicated than it is at home. That’s why we’ve made sure that you can open an account online in just 10 minutes – leaving you to get on with what you do best. New to Kent Reliance? Although our branches are in the South East of England, our Business savings account is online only and available to you anywhere in the UK. Getting in touch isn’t a problem as our helpline is on hand for any queries or questions you may have. Find out more about Kent Reliance. This summary box contains the specific terms and conditions for this account and, where applicable, supersedes our Business savings general terms and conditions. Please refer to Condition 12 of our Business savings terms and conditions for full details on interest rate changes. This account can only be opened by Private Limited Companies (LTD) with a maximum of 3 Directors who are also major Shareholders. Additional deposits can only be made by bank transfer (electronic payment) from the nominated account†. All withdrawals will be made directly to the nominated account† , simply log in to our online services to action the request. †Your nominated account must be a UK Bank/Building Society account held in the company’s name. The account holder will be the business named on the application for the account. The account holder must be the legal and beneficial owner of any monies held in the account. We do not accept client money, nor do we provide accounts to be held on trust. Terms and conditions Download our full Business savings account terms and conditions. Business savings accounts may only be opened and operated online by UK-based Private Limited Companies (Ltd). As part of the application, you will need to nominate up to three individuals (Authorised Users) to operate the account on behalf of your company. Every Director and major Shareholder of your Company must be set up as an Authorised User. your Company has major Shareholders who are not Directors. Age restrictions Minimum age of Authorised Users is 18. 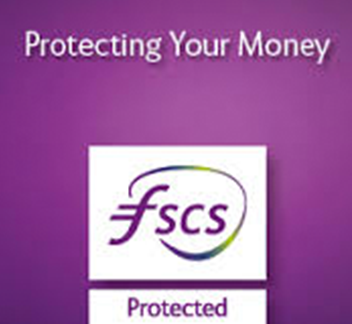 FSCS Eligible deposits in an account to which two or more persons are entitled as members of a business partnership, association or grouping of a similar nature, without legal personality, are aggregated and treated as if made by a single depositor for the purpose of calculating the limit of £85,000. Find out more (pdf document)..